Pronounced "nut-nut" and not "net-nut", the feisty young lady known as nadnut has been blogging ever since she laid her pretty eyes on the first blogging platform. Always happy to try on a new dress or chew on a good medium-rare steak, nadnut has been wowing readers with her pwetty photos and stories about her life and the universe in http://www.nadnut.com, a Singapore Lifestyle Blog. nadnut's interests spans across food, travel, partying and keeping an active and healthy lifestyle. nadnut loves technology but is not a geek. She always pride herself in giving her gadgets a feminine touch, "dressing them up" as she would say. Her various exploits include getting bitten by monkeys, indulging her sweet tooth hosting blogger show Sweets.sg and eating dead cows. Previously a Stomp Star Blogger, a former CLEO Guest Editor, nadnut has been engaged by various brands such as Panasonic to star in their Toughbook video to writing an advertorial for Yun Nam Hair Care. nadnut has also taken a few other (fun) responsibilities as a Soyjoy Ambassador, a Sony make.believe ambassador, Whisper's Digital Ambassador, Majolica Majorca's Blog Ambassador and a Friend of Puma. nadnut is currently Shunji Matsuo 313's Digital Ambassador. 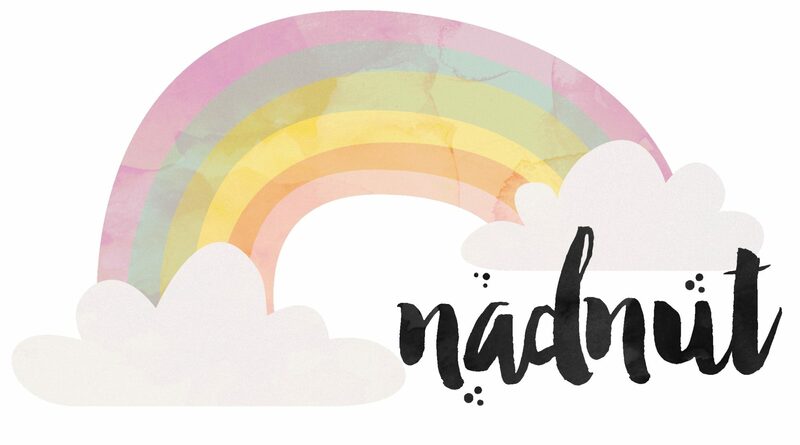 nadnut has been featured in many competitions such as Unexpected Australia, Soyjoy and the Tangs Blogathon. Well OK, so I seen a news report about a lady who was killed today by a stingray who jumped out of water and collided with the lady. I guess she was on a boat traveling 25mph and a 6ft ray hit her, yeah that would kill you. Additionally, I bought some shoes which are half Alligator and Stingray. Pimp looking but super clean shoes but hey, they are nice and cost way too much. Some times that’s the price to pay to look good. Thus, the whole stingray item popped into my mind. Anyhow, I started to think about the many times I've heard people talking about eating Stingrays. Naturally I use Google’s mad powers to summon the wonderful search and boom, a bunch of links about stingrays and recipes. I decided to click on "images" and found several images of stingrays, one just happened to be from your page. Naturally, I click on it and notice this crazy rainbow banner with incredible details on recent dinning, one including the stingray. Call it pure boredom or maybe it was just the way everything was written, at any rate I was stuck reading through the many posts. Entertaining, and that is in a good way, something about getting a glimpse into some random stranger’s life is so interesting at times. How could one forget the style in which your writing pulls people in? Sure, anyone could write about what they did, ate, and overall experienced. However that does not mean it will not be super boring, generally lame, and well, completely plain leaving the reader ready to smash there PC into tiny pieces. LOL, ok that last part was just a tad bit over-exaggerated. Anyhow, I figured why not just send a note to this female who is half way around the world and let her know how I found her page. As I sit here in my hotel finishing up reading several posts and getting ready to hit up a bar. Yes, my life is not THAT boring, I do love to get out and party versus sitting in a hotel all night. I’d like to say, you miss seem cool, fun, and like a person I would run amok with. Now off to the bar I go to end my crappy travels and prepare to return home! I love your blog design, girly yet neat with a pastel colour scheme~ blog's a pretty good read too! Pop Up Craft Party: DIY Happy Flags! Feeling InspiRED? nadnut goes RED! Angsana Bintan: A much needed respite. Where to buy cheap cat toys and clothes? How to have a slimmer face without paying a single cent! Things to do in Venice. #Caturdays: Miu Miu the Cat.... Fish. DIY - How to make lollipops?